Note: This feature is only available on paid accounts. 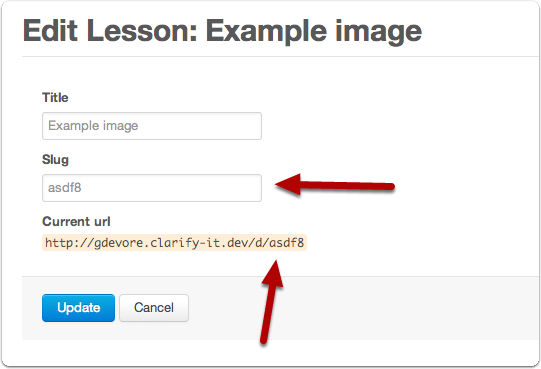 The URL for your lesson uses a random code to identify the lesson. You can change this code to be whatever you would like as long as it started with a letter and doesn't contain any special characters besides - or _.